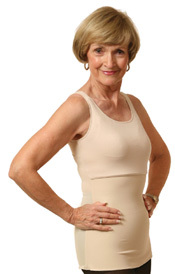 The Slimmer by Wear Ease®, smoothes tummy, back, waist, and hips. Complete with pockets for breast forms and can be worn in place of a bra. Great for figure control and a comfortable solution for managing swelling caused by surgery. 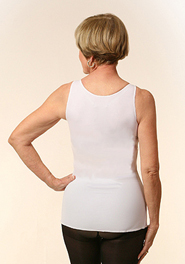 Get the lowest price on Wearease 910 The Slimmer Figure Control Camisole. We are dedicated to always offering the best service and value to our customers. We will match the price, at the time of purchase or until 7 days after your purchase, on a Price Match Guarantee product if you find the same item ( Wearease 910) at a lower price at a Designated Major Online Retailer or at a local retail competitor's store in the US.